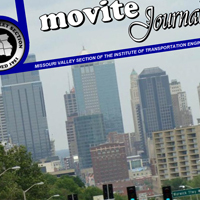 Nathan Becknell, PE, PTOE, a project manager in Garver's transportation group, had his technical paper published in the spring issue of the MOVITE Journal. Nathan wrote the article to help engineers better understand how a spring contributes to peak flow during a storm. Engineers are commonly tasked with determining the peak flow of a particular tributary or basin during a storm. Widely accepted current practices focus on surface characteristics such as topography, vegetation, and infiltration. What should engineers do when a spring is encountered within the basin of interest? Little, if any, existing research applies directly to this problem. This paper summarizes existing research and concepts from the field of Karst Hydrogeology (The study of relationships between soluble rocks and processes with flowing ground water), and relates these to hydrology to better address this question. You can read Nathan's paper in the spring 2013 issue, on pages 6-9. Nathan is serving on the Missouri Valley Section of the Institute of Transportation Engineers (MOVITE) as the Executive Board Director. 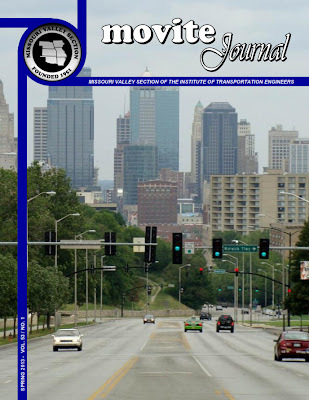 This institute revolves around engaging engineers in the planning, design, and operation of streets, highways, and other transportation facilities.